Edinburgh’s Christmas today may be full of mince pies and mulled wine, stockings and Santa, carols and cards, and of course the Edinburgh Christmas Markets….but it wasn’t always so. Let us take you back to a time where spirits were kept high to ward off the dangers of winter. Where angels and demons coexisted in folk tales, bleakly told in the mist and snow. 17th century Christmas was quite different to the frivolity of today, and winter was not seen as a time of celebration. The need for hope was gravely necessary, as the living conditions were quite different from the luxuries that we take for granted. Although Christmas was not a public holiday, following the devastation of the plague families were allowed to celebrate the day, as long as it did not interfere with their neighbours. They rejoiced together as one people, who were strong enough to survive. This feeling of love, compassion, and merrymaking demonstrated the true meaning of Christmas to which we all adhere to today. On New Year’s Eve, or Hogmanay as it’s called in Scotland, people would crowd on the streets and closes trying to greet everyone as they went to usher in the New Year. Gifts of whisky or black buns were brought as a sign of good luck and positivity, and strangers flocked to greet one another. Families stood together to sing Auld Lang Syne, welcoming in the New Year and the fortune that lay beyond. This was the end of another year that they had survived together; a year that the demons had not managed to catch them. The monsters of winter were staved off by loving families looking to the year ahead. 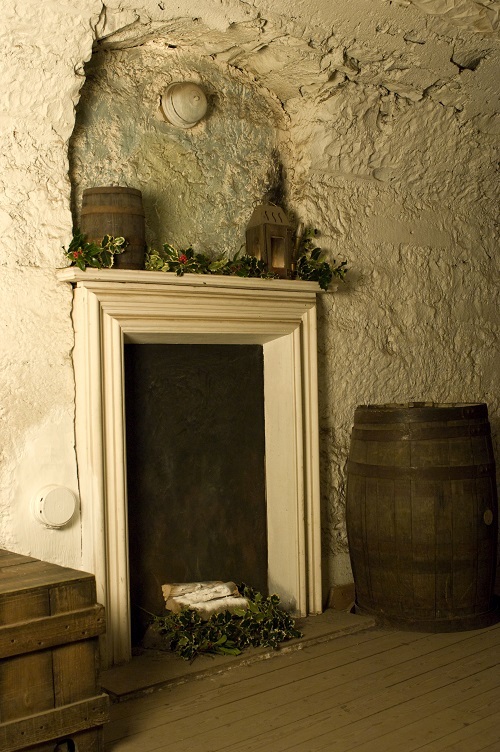 Discover more about the fascinating history of Scotland’s Yuletide Past, Hogmanay, Burns Night and much more at five star visitor attraction The Real Mary King’s Close. Join a character tour guide, as you take a one hour tour through these once inhabited Closes, and get a taste for what life really would have been like in the 17th century. The Real Mary King’s Close will be open throughout the Christmas period, closing only on Christmas Day so why not visit us and discover Edinburgh’s hidden history.